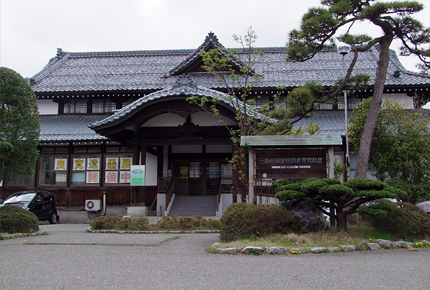 The Sanjo Heritage Museum is a museum to learn about the life of the people and the history of the industry in Niigata Prefecture Sanjo City, and to become familiar with the local culture. 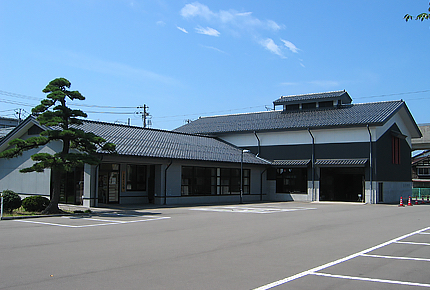 Apart from artifacts excavated from the San’noyama tombs located in Sanjo City and goods related to industrial history such as the recreation of a blacksmith shop, this museum also presents the works of many literati painters who were active along with the commercial prosperity of the region. The Tetsuji Morohashi Memorial Museum introduces the achievements and personality of Dr. Morohashi Tetsuji, who passed away in 1982 at 100 years old, by owning and exhibiting some of his personal belongings such as calligraphic works and other items. Tetsuji Morohashi spent all his life doing researches to achieve the exploit of creating the “Dai Kan-Wa Jiten”, a comprehensive dictionary of Kanji (Chinese characters). This Doctor, who loved literature, and extremely loved his hometown, is still deeply respected by the people living in the region nowadays. At the Sanjo Blacksmith Dojo there are permanent exhibitions featuring among others the works of Sanjo City Master Craftsmen as well as “Wakugi” (Japanese nail) dedicated to Ise Shrine, and giant metallic creations made at the Echigo Sanjo Blacksmiths Festival, and workshops are also afford to experience manufacturing skills. “Kitchen knife sharpening workshops” (bring your own knife) and “traditional Japanese Nail making workshops” on are available all year round. The site where the first scientific observation of a solar eclipse in Japan took place. Sanjo City designated historical site. Originally built in 1426 by Toyokage Nagao. Remains. 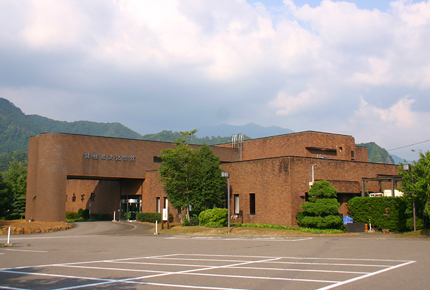 Niigata Prefecture designated historical site. Remains of a powerful clan. The giant sheer rocks rising as a wall 200 meters above the Ikarashi River upstreams combined with the appearance of rock surface reflecting the lights of the morning sun is an absolutely divine scenery. A vast ancient Temple built by Nichiin Shonin in 1297. Some works of Uncho Ishikawa, a famous wood carving master craftsman who was active in the late Edo period, called the Michelangelo of Echigo, are still remaining in the Honjoji Temple where Uncho Ishikawa used to stay, his grave is also located in Honjoji Temple. The main gate located on the compound entrance.Built in 1786. Building having an hexagonal shape which is a rare feature nationwide.Built in 1813. This large garden taking advantage of ancient people writing was restored in Honjoji Temple. The Higashi-Honganji Temple 16th Chief Priest who was named Ichinyo built this temple in 1690 in order to settle a dispute on the doctrine. In the compound, apart from the Hachiman Shrine, there is also the Kanayama Shrine dedicated to the god of ironware products specialty. The Isurugi Shrine is also familiarly called the “Avalokitesvara of Yoshinoya” by local residents. The worshipped sculpture that can be found there is the work of “Uncho Ishikawa” a sculptor of the late Edo period. During the Edo period the deity of safe child birth called “Jakuichi-Oji” was widely worshipped. In Meiji era it was certified as “Legendary Imperial Mausoleum” by the Imperial Household Agency. The original Shrine is said to have been built in 807, the current main shrine built in 1658, and the worshipper’s hall rebuilt in 1768. This shrine in honor of the Goddess of the Sun was built in 1683 at the beginning of the Edo period. An oasis where you can enjoy being in harmony with greenery and water all around the seasons. The park offers an adventure playground with wooden athletic equipment to play with, an expansive grassed square and an observatory where you can have a bird’s‐eye view of Sanjo City. A haven of calm called “Torimu no Mori” that takes advantage of the natural hills in the park. Natural Monument. This popular site is called “Fujinoki-Sama” in the local area since ancient times. The first urban park of Sanjo City located right next to the Hachimangu Shrine and the Kanayama Shrine where you can feel scents of history and culture floating by in the air. 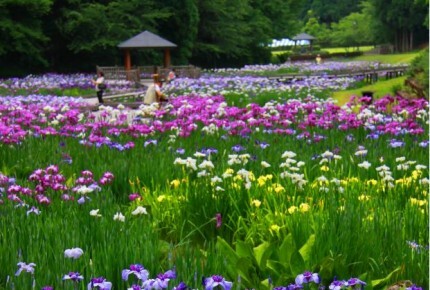 This park offering a vast garden of iris and an event lawn is equipped with numerous installations such as playgrounds and observation decks is affectionately known as a forest park having the purpose of connecting people with nature. 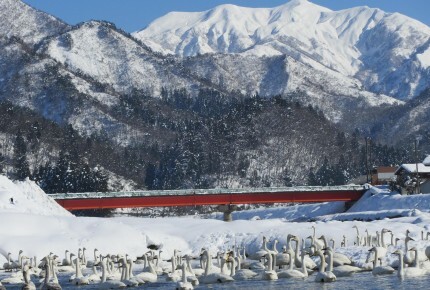 This is a popular mountain visited by many people, which has a mountain trail allowing you to reach its summit in 4 hours from the starting point of Kitaimo River. This is a park that people of all ages can enjoy all day long with campground, fishing ponds and workout spots. A multi-purpose rock-fill type dam made of piled stones. A multi-purpose dam used for flood control, power generation, irrigation water, etc.